The USTA, the ATP and the Sony Ericsson WTA Tour ATP announced in 2006 that electronic line calling technology, along with a player challenge system, will become part of professional tennis in North America. The 2006 US Open will be the first Grand Slam to introduce instant replay technology and player challenges. The NASDAQ-100 Open will begin in Miami will be the first Sony Ericsson WTA Tour and ATP event to utilize the technology and on-court challenges. 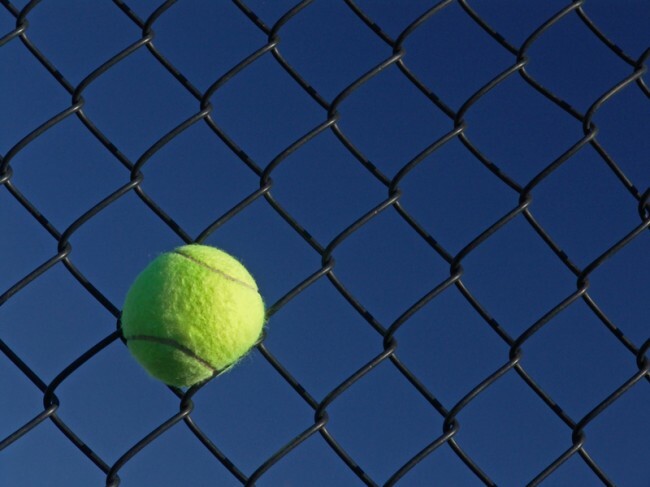 If a ball sticks in the fence before it bounces, it's out. There it is: instant-replay will be used in pro tennis.I’m not usually one to buy into press releases so completely but I applaud this move by the USTA. I truly believe this will, actually, add an exciting new element to the sport of tennis. Well, the replays have been there for TV viewers for some time. But the player challenge system is what seals the deal. If the player is incorrect with a challenge, then one of the challenges is lost. So now during a match, if a player truly feels they got screwed on a line call, they can challenge it. And the results of the challenge will be displayed in real time at event monitors and over TV broadcasts. This instant-replay system sounds so much better than the NFL system. It will actually matter! Anyone remember the 2006 Super Bowl between the Seattle Seahawks and Pittsburgh Steelers? They called for an instant replay review of a “touchdown” by the Steelers’ QB that took several minutes only to have the head Ref overrule the replay official thus making it irrelevant. Lame. In tennis it will be fast and meaningful. A player will be able to challenge and if they are correct about the line call the point is overturned and they get to keep their challenges. But if they are wrong they lose one of their challenges. This will clean up the calls while still preventing abuse/overuse. “We have this idea in tennis that if we try something new that we are going against the history of the game and against tradition. Whatever sport or business you are in, it is important to keep moving. Since the first use, it’s been tweaked here and there but is largely a success. Now, how can we find something else to send players into McEnroe-inspired temper tantrums?